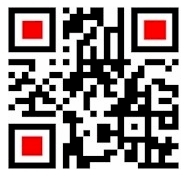 Public Relations, Web Development, Marketing, IT Recruitment and Creative Writing needs. Glascott Dot Com was established the year 1995. Services include domains name registration & hosting, repairs, web development cloud services, through to cybercrime investigations. However, the one IT area with the most expertise is data recovery. If you feel that you have lost information from a failed hard drive etc, then Glascott Dot Com can help recover all your data. Glascott Dot Com has extensive knowledge of cybercrime investigations to offer a wide range of effective solutions for detecting and investigating computer-related incidents especially occurrences associated with the Darknet. We also offer a range of web development packages - see recent samples. A host of software developers from Wroclaw in Poland on our database willing to work for Irish and UK companies. HP, IBM, McKinsey, Google, Nokia and a many other top software companies have established R & D centres in Wroclaw because of the availability of top developers, skilled and knowledgeable. All our candidates are independently tested for both language skills and coding. Glascott Dot Com can arrange for these high calibre candidates to be part of your winning team - from sourcing to final selection and beyond including Remote Full Time Employees (RFTE). 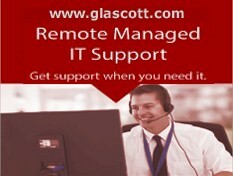 Glascott Dot Com can integrate with your management team to grow your business. The non-executive director service provides fresh thinking, independence and open communication. Glascott Dot Com can implement customer acquisition strategies. It should be emphasised from the outset that our activities relate directly to sales strategies and the increasing of sales revenue. Consulting services in digital strategy are also available. A new executive service, business English lessons, has been added in 2017. Tuition is available in groups or on a one-to-one basis. Experiencing an emergency situation, sensitive events, or unanticipated difficulties? Glascott Dot Com can implement a crafted communication strategy to protect your business's reputation before during and after a crisis by working in tandem with your staff to facilitate the crisis management process. Also social monitoring with IT tools to evaluate level of severity. From rumors to recalls, Glascott Dot Com has the practicable capability to implement crisis management strategies to rectify problematic issues. Robert Glascott is the owner of Glascott Dot Com. Qualified and experienced in IT, Marketing and Public Relations, this combined skillset will result in optimised solutions and strategies for your business.